Emily Fisk is participating in the 2017 Dream Mountains Kilimanjaro climb, in support of Ride for Dad. Picture a young girl with a goal in her mind, determination in her step, and hope in her heart. 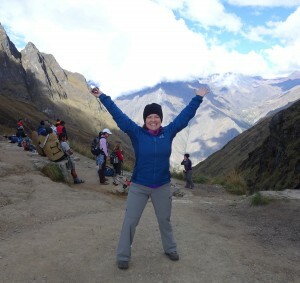 Twenty-five years later, that girl summitted a life-changing 13,829 ft on the Inca Trail with a team of incredible people, while supporting a charity close to her heart. One step closer to the goal, she’s ready for more! I am honoured and privileged to climb Mount Kilimanjaro, the tallest free-standing mountain in the world and the roof of Africa, with the Dream Mountains Foundation Dream Team 2017. It will be a physically and mentally challenging, yet awe-inspiring, 8 day trek. 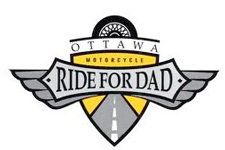 I am excited, for the second consecutive year, to be raising funds for prostate cancer awareness and research through the Ride for Dad charity. All money raised goes directly to the charity, and remains in the Ottawa area. Every day, 65 Canadian men will be diagnosed with prostate cancer. Every day, 11 will not survive. They are sons, brothers, uncles, fathers, and grandfathers. They are men you know, and they are men I know. Since 2000, Ride for Dad has donated more than $18 million dollars to the Prostate Cancer Fight Foundation. For me, this journey is about more than standing at the top of a mountain. It is about fulfilling a dream, reaching an extraordinary goal, living outside of my comfort zone, and most importantly helping to make a difference in someone else’s life… One step at a time. Everyone has their own mountain to climb; their own challenges and obstacles to overcome. Someone today is fighting for a chance to survive. Please consider donating, and making a difference in someone’s life.